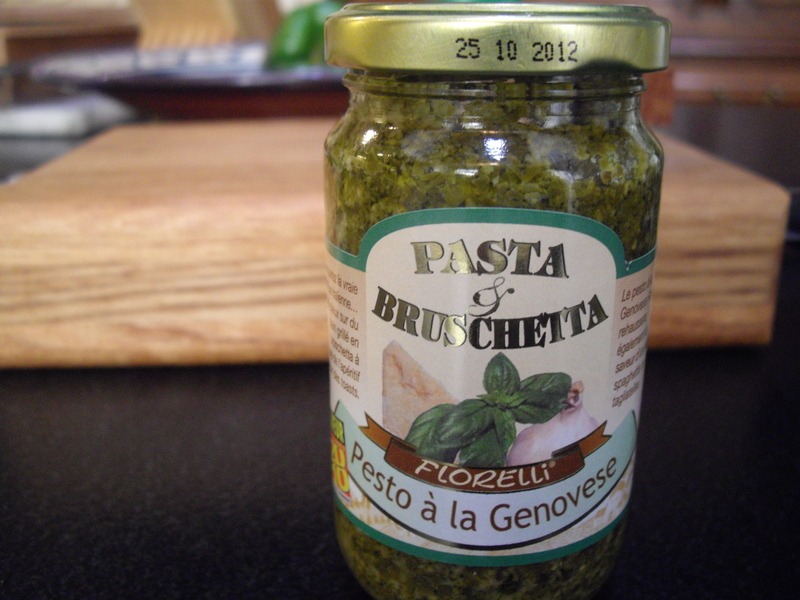 Leclerc supermarket is showcasing Italian products, including two different kinds of prepared pesto; tomato and basil. I usually like to make my own pesto but I’m also a sucker for imported foods, so I bought one of each. Make your own. The jar was okay but not stellar. I had some lamb chops in the freezer that were aged enough so I brought them out for this meal. Popeye the sailor man was one of my favorite cartoons when I was a child and I loved and love spinach; canned, frozen, fresh. 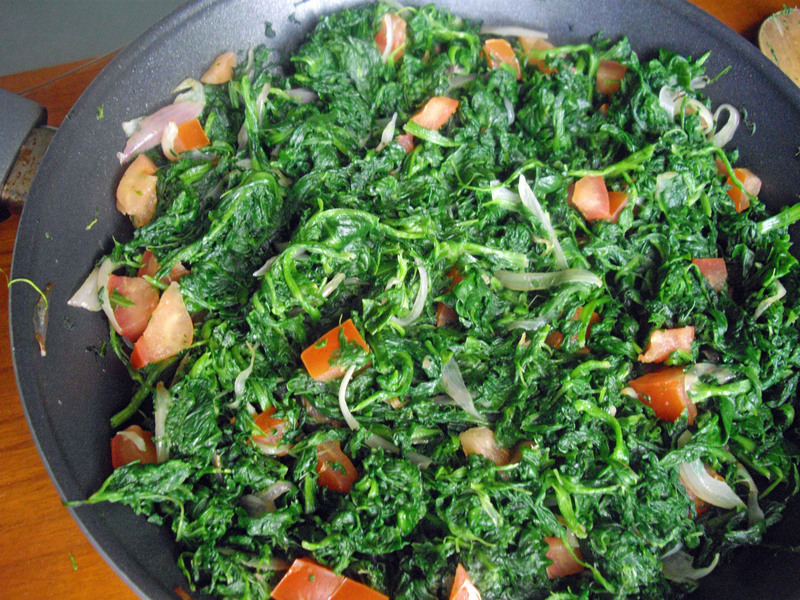 This fresh spinach with tomatoes and shallots can be eaten as a vegetarian lunch. Mmm Mmm good! Melt 2 tbsp of the butter and mix with parsley. Season the lamb chops with salt and pepper then pour the butter mixture over the chops, turning with a large spoon. Set aside. 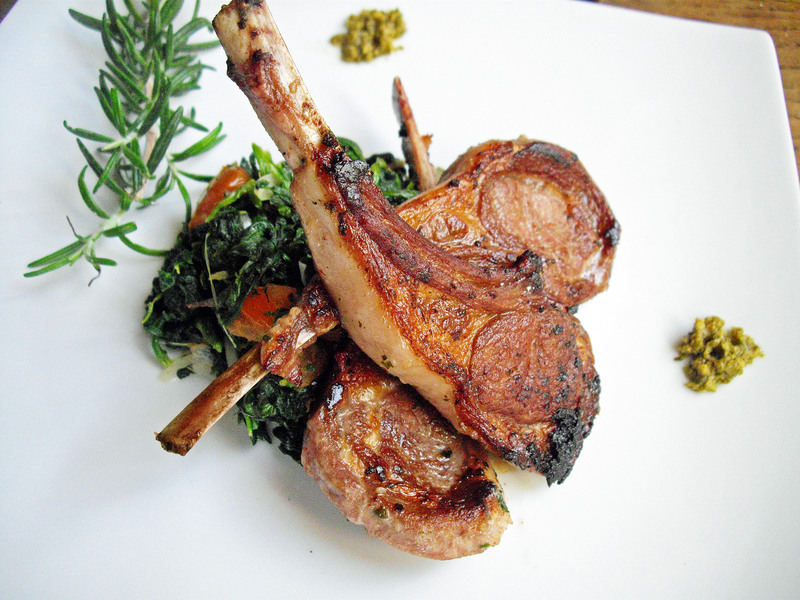 This entry was posted in Cooking, Food and Wine, French, Main dishes, Recipes, Vegetables and tagged cooking, food, French, Lamb chops, pesto, recipes, spinach, tomatoes. Bookmark the permalink.